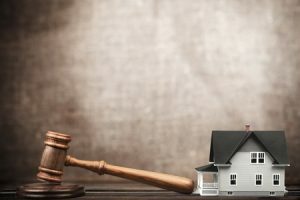 Real Estate Auctions: What to Know - Smith & Co Auction & Realty, Inc. It is becoming more popular for home buyers to look towards real estate auctions for their big purchase. However, before taking on the auction block, there are a few key things to understand in order to achieve success. Before attending an auction, it’s important to understand what type you’re attending. There are two types to take note of: a Sheriff’s auction and a private company auction. The process is similar, but different in location of event and who it’s held by. This auction is a legal proceeding and is held by a government official in the county that the property is located. This type is utilized when lenders are foreclosing on a property, but are not the original owners of the home. A Sheriff’s auction is usually announced to the public in the “public notice” section of your local newspaper and is held on the courthouse steps or within the lobby area. This type of auction is held by a private company. These events usually offer more information about the property for sale prior to the auction. Companies will normally provide photos on their website and also encourage potential buyers to take a walk-through of the property. The rules of each auction vary based on the company, so be sure to learn the terms and conditions in advance! These real estate auctions are announced through the company’s website that is holding them, which allows enough time to ask questions and schedule a walk-through inspection. It would be beneficial to learn as much as you can about the real estate before you attend the auction. If you’re allowed to, take advantage of the opportunity to inspect the property beforehand. Additionally, have an attorney conduct a title search and identify any liens that exist so that you can ensure that there are no other existing owners of the property or undocumented costs that could become your responsibility. Before attending a real estate auction, it’s vital to decide on the highest price you are willing to pay for the property. Most county foreclosures require a deposit of 5-10% of the final bid. Other private company auctions will ask for the full amount as soon as the auction concludes. As mentioned early, learn the rules of the auction you’re attending or don’t risk the bid! Each of our realtors at Smith & Co. are native to Northwest Oklahoma and are homeowners themselves, making them great assets to help in your real estate search! Call us at 580-254-3975 today to learn more about our various real estate listings and feel free to explore all of our upcoming land and real estate auctions here! Download the Smith and Co. Auction App in the Apple App and Google Play stores to bid on our auctions using your smartphone. Smith & Company Auction & Realty, Inc.